How Can Pharmacists Be Charged with Prescription Drug Fraud? Pharmacists are currently at high risk for being targeted in Federal Health Care Fraud investigations. If your pharmacy or compound pharmacy is under investigation, we can help. When you went to pharmacy school, the last thing on your mind was the risk of being targeted in a federal investigation. As you went through school, you learned more about the federal health care laws that apply to pharmacists. But you still never could have imagined that you would end up in the crosshairs of the Department of Justice (DOJ) or the Drug Enforcement Administration (DEA). But, now the risk that you learned about in a textbook has become a reality. A federal agent showed up at your pharmacy, you received a “target letter,” or you received a federal subpoena, and suddenly you are at risk for being civilly or criminally charged with prescription drug fraud. You need to protect yourself, but how? How great is the risk that the DOJ’s or DEA’s investigation could lead to federal prosecution? When most people think about prescription drug fraud, they imagine a large-scale “pill mill” scheme in which doctors and pharmacists are prescribing and dispensing medications at an alarming rate to individuals who aren’t their patients – and who may be drug-dependent. While these types of schemes exist and they certainly represent one example of prescription drug fraud, it takes far less to earn the federal government’s attention. Prescription drug fraud can take many different forms. In general terms, prescription drug fraud involves either (i) charging the government (through Medicare, Medicaid, or Tricare) improperly for prescription medications, (ii) providing medications to individuals who do not need them, or (iii) some combination thereof. 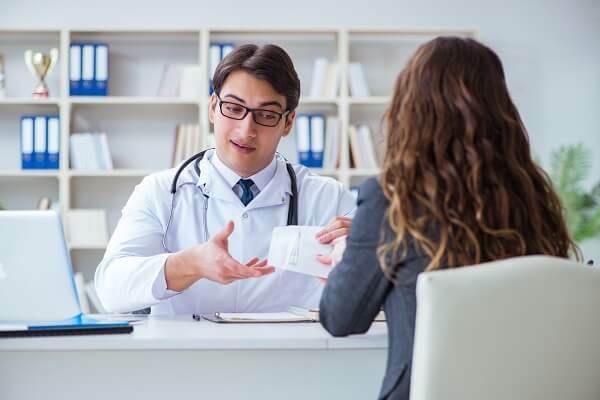 Just as prescription drug fraud can take many different forms, there are also many different ways in which pharmacists and compound pharmacists can get caught up in federal investigations. From errors on the part of billing administrators to unknowingly receiving and filling fraudulent prescriptions, it is not unusual for pharmacists and compound pharmacists to be targeted in situations in which they had no knowledge of the alleged fraudulent practices that triggered the DOJ’s or DEA’s inquiry. Any member of the conspiracy committed an “overt act” toward the potential completion of the fraudulent plan. The primary stages of a federal prescription drug fraud case are: (i) an investigation, (ii) charging, (iii) pre-trial, (iv) trial, and (v) sentencing. However, a prescription drug fraud case does not have to proceed through each of these stages. In fact, the best-case scenario is to resolve the government’s inquiry during the investigative process so that you are never formally charged with a civil or criminal offense. Intervening in the Government’s Investigation – Early intervention is the key to success when defending against allegations of prescription drug fraud. The DOJ and DEA cannot be allowed to conduct their investigation unchecked, and you cannot afford to take a wait-and-see approach. Conducting a Confidential and Attorney–Client Privileged Internal Assessment – If there are issues, you need to know about them – ideally before they are discovered by the DOJ or DEA. This requires a thorough internal assessment conducted with exhaustive knowledge of the laws, rules, and regulations that apply to pharmacies and compound pharmacies. Challenging the DOJ’s and DEA’s Methods and Assumptions – Federal agents and prosecutors make mistakes just like everyone else. If your case is proceeding toward civil charges or an indictment based upon faulty investigative methods or assumptions, this needs to be corrected immediately. Presenting Exculpatory Evidence – Prescription drug fraud cases are complex, and in many cases federal agents will find evidence that only tells a part of the story. Our attorneys can collect and present exculpatory evidence that shows you are not deserving of federal prosecution. Helping Our Clients Ensure Ongoing Compliance – Finally, we can show the prosecutors in your case that you are committed to compliance by correcting any deficiencies and putting a comprehensive compliance program in place. Is your pharmacy or compound pharmacy under investigation by the DOJ, DEA, or another federal agency? For a free and confidential case assessment, call (888) 519-4897 or request an appointment online now. This information has been prepared for informational purposes only and does not constitute legal advice. This information may constitute attorney advertising in some jurisdictions. Merely reading this information does not create an attorney-client relationship. Prior results do not guarantee similar outcomes for any client or potential client in the future. Oberheiden, P.C. is a Texas professional corporation with its headquarters in Dallas. Mr. Oberheiden limits his practice to federal law.